Tactics to use with signage, payment kiosks and employees. Congratulations. A customer has pulled onto your site intending to purchase a carwash. But if your sole “interaction” with this customer between his or her entry onto the lot and the entrance to the tunnel or bay is a payment kiosk that really only serves as a glorified cash register, you’re not making the most of your upselling opportunity. Let’s face the facts. Left to their own devices, customers will often pick the lowest-priced wash package you offer. But, through customer education and clever marketing, there are ways to convince customers to purchase chemical add-ons as well as higher-priced packages. This article includes tips from experts on how to upsell, whether with on-site signage, at the payment kiosk or in person. 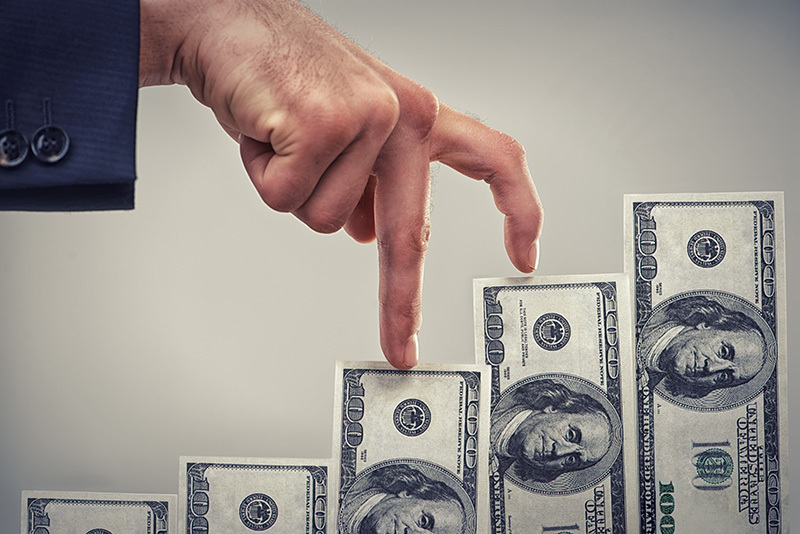 Your opportunity to begin upselling starts the second the customer turns onto your lot. The path your customer will drive from this point to the stacking lanes is prime real estate for signage that will help you upsell. Think about fast-food restaurants: As you’re pulling up to the drive-thru, restaurants litter the area with signs showing mouthwatering food to entice you to buy combos or additional items. This type of marketing, Jones says, has proven extremely effective. “The carwash experience is similar. If you visually showcase the benefits of your extra service, you will have a higher conversion rate on your ticket,” Jones assures. There is a wide variety of signage to use — die-cut signs, rack cards, banners and cone signs — that are all effective, and you can use them to their best advantage around the stacking lanes. You have a captive audience when you have a line of cars waiting to pay, so utilize it. In addition, your menu is going to be critical in the stacking lanes. But, in order to maximize its effectiveness, there are some design rules by which you should abide. Furthermore, Jones adds, an effective menu should be designed to visually illustrate what each package includes. For instance, many owners today have opted to illustrate with an “app style” design, which is not only a familiar look for customers in today’s app-based world, but it also cuts down on their reading and decision-making time. “You don’t want your menu slowing up the process; you want it to be easily understood,” Jones asserts. Photos and illustrations make it much quicker for customers to identify a service with a package, rather than having to read an entire text-filled menu to find the package with the service(s) they want. There’s another practice Jones recommends in order to push your marketing: capitalizing on seasonal events. “Stagnant signage can drive business in the wrong direction; you want to keep your marketing fresh, and using seasonal promotions is one way to achieve that,” he notes. As such, Jones recommends creating a marketing checklist at the beginning of the year that covers every seasonal opportunity, so you can be prepared as those times approach. Digital signage is now a powerful trend precisely because of the flexibility it offers to do such things as changing out your signage for the seasons. Moreover, digital menus and signage allow you to play with various layouts and illustrate your extra services in the forms of clips and animations. In fact, according to www.streamvision.com.au, on average, digital signage increases sales by 31.8 percent. In addition, the distraction of digital signage decreases perceived wait-time by 35 percent — a critical factor for the customer experience on those busy days when the lines are long. Now, your customer has made it to the end of the stacks. Depending on your wash format, there are two options he or she might be faced with: a payment kiosk or an employee. Let’s consider payment kiosks first. “The cutting-edge point-of-sale (POS) solutions available today are A/V-based promotions powerhouses that can be paired with a digital menu sign to serve as a powerful one-two punch that educates your customers while simultaneously creating a higher average revenue per car,” explains Jason Sears, communications manager for Innovative Control Systems. Customizable prompts, videos and automatic messaging are just a few of those options. “In today’s age of automation, customers prefer a simple, non-threatening message that provides them with a quick and easy way to upgrade at the click of a button, on their terms,” Sears proclaims. Offer different additional services at different times of the day. Bundle additional services to provide discount prices (and thus incentive). Inform a customer who just purchased a wash package that, for only X dollars more, he or she can purchase the monthly wash package. Offer wash club members additional (often discounted) à la carte items that are not part of their purchased package. Furthermore, Lecky emphasizes that the screens of the payment kiosk need to be the same as your signage to help customers easily choose the right package. In addition, Sears recommends working with a knowledgeable service provider — preferably someone with experience owning and operating carwashes who can help you avoid common video mistakes. Another way to use video is on busy days when the stacks are full. Sears says that savvy operators use “Wash Busy” videos to take advantage of the extra time spent at the kiosk and cross-promote other services, such as detailing, gift cards or wash clubs. can program the POS system to send a message to that person after a certain number of days that includes a discount or promotion. McLoughlin explains, “Having an app fully integrated into a POS [system] is a very powerful tool. The ability to send a push notification to a person’s phone or allowing your customer to text or email a wash to their friend from the app is very powerful.” You can also use these integrated apps to offer an automated unlimited membership referral program, where if a member refers a friend, that member as well as the new customer can receive a free month of washes or whatever you choose to give. 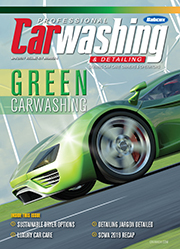 This allows you to get your customers to become marketers for your carwash as they reap the benefit of doing so. Ultimately, compared to using employees, signage and advanced POS systems will be the more cost-effective choices for upselling, given that they work for you 24/7 and don’t come with the recurring expenses and overhead that employees come with. As such, our experts agree that signage and POS messages with clear value propositions will outperform the average attendant. But, the fact is that some carwashes also want or need to rely on employees for upselling. 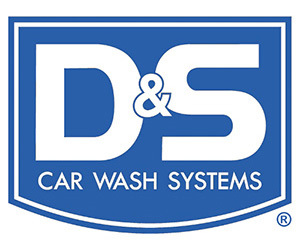 Employee salespeople are most often found at full service carwashes, although there are express carwashes that do have a cashier lane in addition to automated payment kiosk lanes. 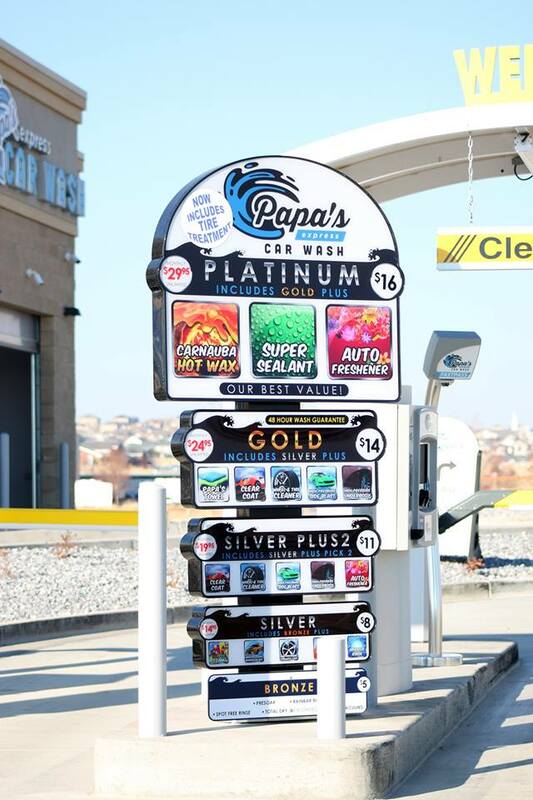 Sometimes, customers just want to talk to a person; also, some carwashes feel that they can more easily convince a customer to upgrade in person rather than through a machine. Whatever the case, if you want to have the best chance at upselling customers in person, you need to be sure to put your best salesperson forward. What sorts of qualities should you be looking for in your best salesperson? According to the article “7 Habits of Highly Effective Salespeople” by John Treace on www.inc.com, the following are a few traits. They make a good first impression. This means that they are not only impeccably dressed and groomed, but they also speak well, enunciating clearly. They keep a positive attitude. Even if your employee is having a bad day, he or she won’t display that to the customer. Rather, your employee will have developed techniques to manage negative emotions or will request not to be interacting with customers that day. They know it all. Not only do these employees know your products and how your services compare to the competitors’, but they also know your customers’ needs. They don’t shy away from complaints. Salespeople should welcome complaints in order to not only better the company but also to keep the customer. Customers often complain precisely because they want to keep patronizing the place of business … as long as the complaint is addressed. They don’t give up. Even if your salesperson can’t seem to catch a break that day, that person keeps trying and focuses on knowing why he or she can succeed instead of the reasons why he or she hasn’t. But, the personality of your salesperson isn’t all that matters. Having the right tools to help him or her succeed is important as well. According to Lecky, giving salespeople a mobile tablet to use on the job can be immensely helpful with upselling. For instance, he adds, if an employee notices that a customer’s rims are dirty, he or she can recommend a wash package with wheel cleaner or suggest it as an à la carte add-on. “What’s great about doing this is the person is perceived to be more credible, as they are making recommendations based on the specific needs of the customer’s vehicle,” McLoughlin notes. Your average customer is not going to know how your extra services can help a vehicle (or even which services are available) unless you effectively educate him or her. The more aware your customer is and the better you can incentivize him or her, the more that customer will spend.